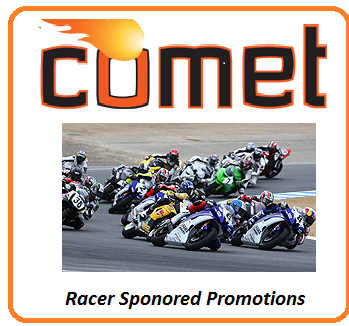 We are currently offering a sponsorship program to all qualified racers to help to continue to spread the word about Comet Custom Fit Racing in Leathers in the track community. If you can meet these qualifications, we offer an EXTREME discounted price on our Comet Racing Leathers. Thanks again for partnering with Comet and we forward to partnering with you in your career and helping keep you Safe along the way! Additionally, we do not collect your credit card information. That information is sent directly to our merchant services, and nowhere is it held anywhere in our records.